NYC, 02/15/2019, 7:00PM. 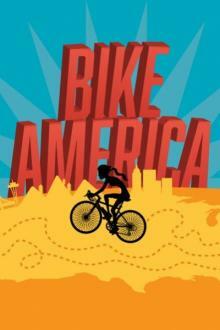 Bike America: A Multigenerational Odyssey to Discover Our Obsession with Happiness. Mike Lew's play peddles the audience along a cross-country bike trip from Boston to California, with stops in big cities and small towns along the way. Feckless heroine Penny is looking to bring more meaning into her life, to find a lifestyle that suits her and a town that feels like a home... so she drops her clingy boyfriend in Beantown and takes off for Santa Barbara. Along the way she befriends a colorful crew of bikers: Ryan, the health nut biking instructor; Tim Billy, the innocent wanderer; Annabel and Rorie, the badass activists seeking to get gay-married in every state they hit on the trip; and the mysterious Man with the Van who carries their stuff.